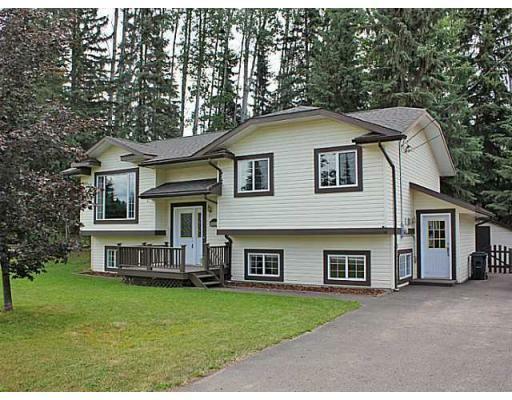 This updated home can be found in a desirable Telkwa neighbourhood. Enjoy the private back yard with large deck, double paved driveway, storage shed, fenced yard and mature trees in the private backyard. With 5 bedrooms, 3 bathrooms and tw o large living areas, this home is ideal for a variety of Buyers and will carry excellent re-sale value. Updates from 2010 include laminate flooring, rec room renovation and new roof shingles in 2014. The home is located close to Woodland Park. All appliances are included and the furniture is negotiable. Floor Area 2,159 Sq. Ft.